From Elizabeth Taylor to Melania Trump to Kim Kardashian, the rich and famous show their love with a whole lot of bling. 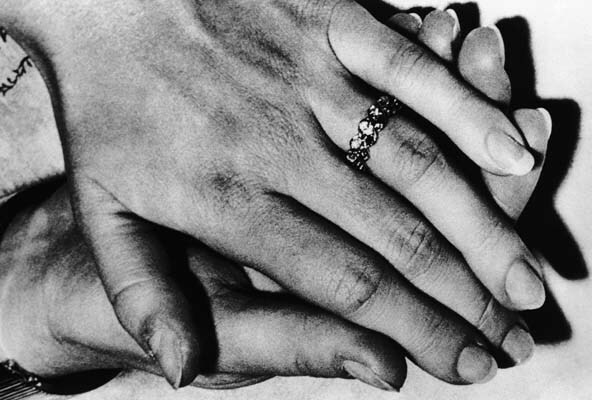 Here are some of the most expensive and iconic engagement rings in the modern era. This Garrard 18-carat blue sapphire white diamond engagement ring belonged to Prince William's late mother, Diana, Princess of Wales. The jewels and band cost $137,300, but its history makes the ring almost priceless. The First Lady has $3 million on her finger. The President proposed with a 15-carat emerald-cut diamond ring on a platinum basket setting. The icon Grace Kelly lived every little girl's dream when she married Prince Rainer III of Monaco and became a princess. The prince gave Kelly a 10.47-carat emerald-cut center, flanked by two diamond baguettes. The ring was worth $4.06 million. Jay-Z liked her so much he put a ring on her, a big one. 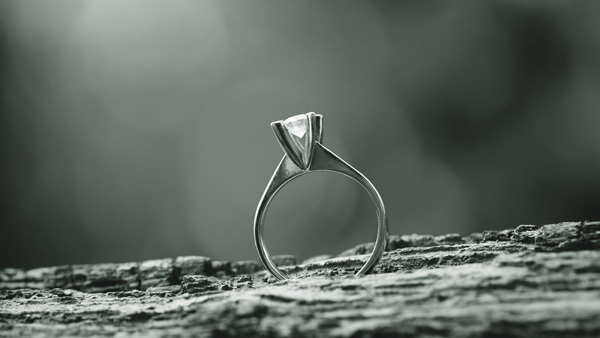 The flawless 18-carat octagon-cut diamond ring was set in a platinum split base. The ring is worth $5 million. 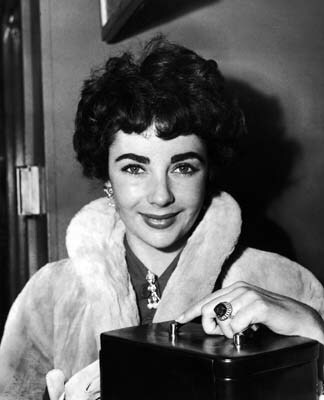 The famous Elizabeth Taylor married eight times, but two of her rings were especially notable. 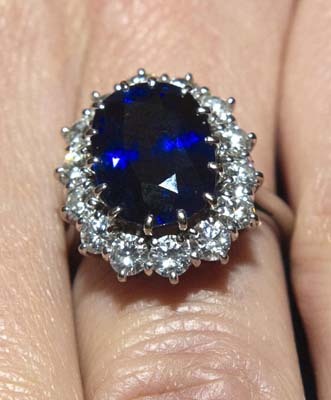 Her marriage to Wilding gave her a massive sapphire encircled with two rows of diamonds, but some rumors say she bought the ring herself. Richard Burton gave her a platinum-set Bulgari pendant featuring an 18.61 carat emerald surrounded by diamonds, that could be detached and worn as a brooch. The ring was worth $8.8 million. After the infamous robbery Kim Kardashian had to replace her engagement ring. The new ring is a 20-carat diamond and cost $4.5 million, whereas Kardashian's first engagement ring has a 14-carat diamond and cost $1.5 million.